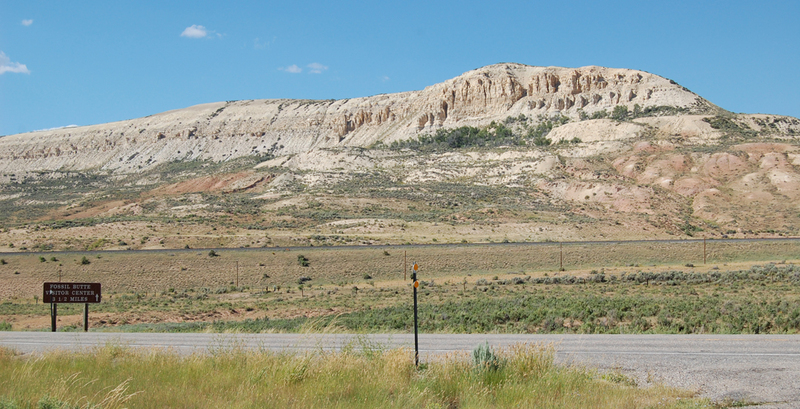 Fossil Butte, near Kemmerer Wyoming is a national monument preserving an area of exposures of the Eocene age Green River formation. 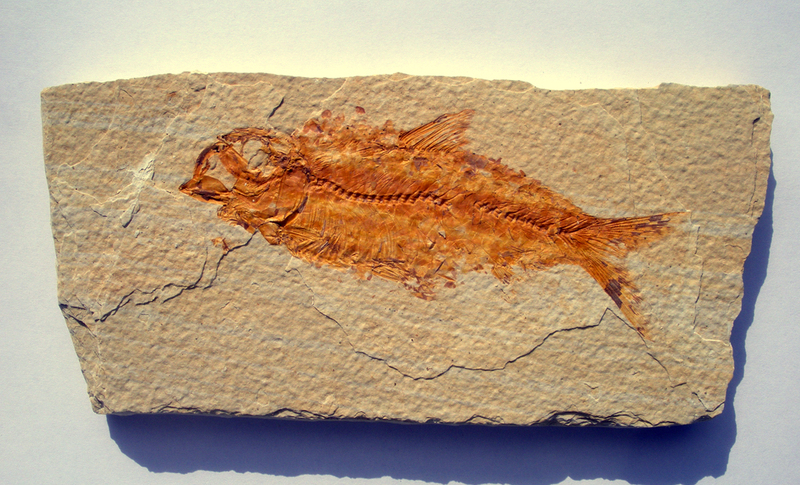 The monument features a very nice museum where many of the more spectacular fossils are preserved for public viewing. that are found by splitting the shale along the layers with a very this chisel. The museum, located a few miles west of the actual butte. 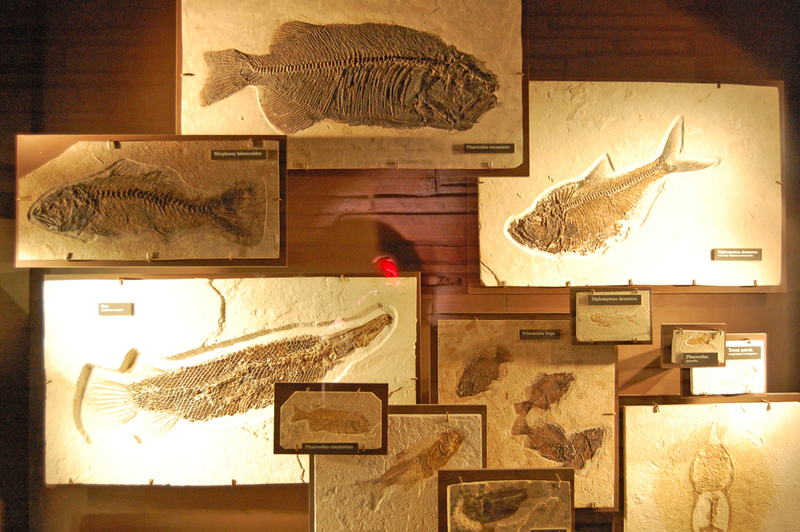 It features well presented information and displays dozens of finely preserved and prepared fossils. 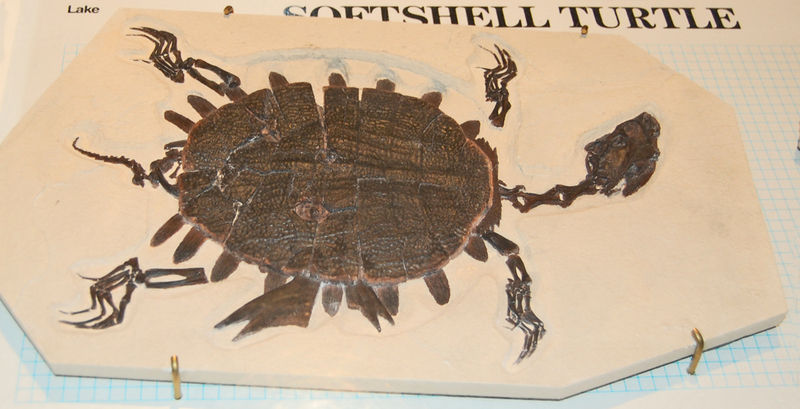 This turtle was likely found in the 18 Inch Layer. In addition to the museum, the monument offers hiking trail and interpretive activities. 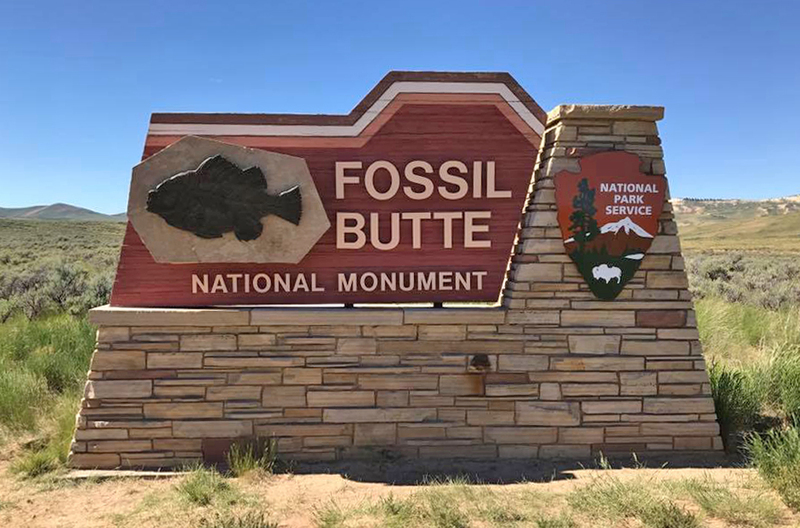 The entire area is protected by the national monument designation so collecting of fossils on the public land is prohibited. However, there are a number of "pay to play" quarries where the land is leased from the government and the public can collect fossils for a fee. A day spent at any of these quarries will yield fossils of commercial value in excess of your cost if you want that many fish! Some will retain possession of any rare specimens that you find, but since they are rare, you probably won't find any of those!